Thank you for your interest in STK bio-ag technologies! We are pleased to answer your questions about our company and our products. Kindly use this form if you have any questions or need further information about our products and we’ll get back to you very soon. Summit Agro will distribute STK Botanical Biopesticides and Innovative ‘Hybrids’ in the USA April 15, (Petach Tikvah, Israel) – STK bio-ag technologies, the innovative Israeli leader in botanical sustainable crop protection, has partnered with Summit Agro U.S.A., which will become the exclusive distributor of STK products in the United States. Effective immediately, Summit Agro USA will assume the marketing and sales responsibility for STK products in the USA. Currently registered STK products, include TIMOREX GOLD® and Timorex ACT®. TIMOREX GOLD® is the world’s leading botanical-based biofungicide, used in nearly 40 countries and currently approved for use throughout the USA for a wide range of uses. 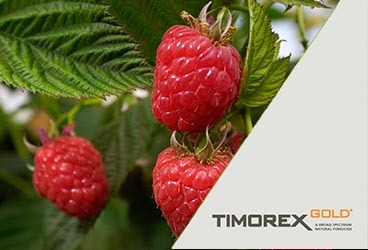 Timorex ACT®, is a new OMRI – listed biofungicide for organic farming and conventional agriculture. Pending registration is REGEV®. REGEV® is the first ‘hybrid’ pre-mixed combination of a botanical-based biopesticide with a chemical pesticide. Comprised of Tee Tree Oil (TTO) and Difenoconazole, REGEV® is already used in approximately 15 countries and has proven activity on a wide range of horticultural and row crops. EPA registration is anticipated in the first quarter of 2020. In addition to the STK products, Summit Agro will also assume the STK non-exclusive rights to sell AVIV® biological fungicide in the US. Already successfully launched in the US, AVIV® offers broad spectrum disease control in key fruit and vegetable crops. CEO Arye Tennebaum of STK declared, “I am delighted to announce this partnership with Summit Agro. They are a world-class organization, with a great team of highly knowledgeable and dedicated professionals to help fruit and vegetable growers with STK’s cutting edge technologies for plant health and yield growth.” The President and CEO of Summit Agro USA, Bill Lewis, also commented, stating,” Summit Agro is very excited with this opportunity. The addition of the STK brands to the existing strong Summit Agro brand family will allow Summit Agro to offer a wide range of disease control options. We are confident that in coordination with our exclusive distribution partners, Helena Agri Enterprises and the Tenkoz Member Companies, we will be able to effectively deliver STK’s innovative biological and ‘hybrid’ solutions to growers all across the USA. We know these are outstanding products and we’re very proud to have been selected to represent them in the USA.” About STK Founded in 1994, STK is a bio-ag technology company committed to sustainable crop protection through the use of innovative biological products. STK’s botanical-based solutions (BBS), a synergy of cutting-edge scientific research and technology, enhance the safety, yield and quality of multiple crops. STK’s botanical and hybrid solutions are easily integrated into conventional spraying programs, helping to advance the Integrated Pest Management approach to food production. About Summit Agro Summit Agro USA, located in Durham, NC is focused on working with our partners to identify, develop, and deliver innovative solutions that meet the needs of growers across the United States. Summit Agro has a history of bringing innovative solutions to market and can manage the full process from initial development to sales. This integrated business approach enables us to provide reliable, high-quality products to US growers. Whether the need is for insecticides, fungicides, or herbicides, Summit Agro has a full range of product offers to meet the needs of our customers.